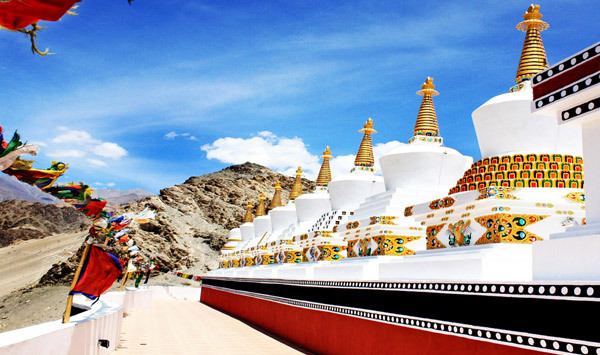 After an early breakfast, visit sightseeing places like Shey, Thiksey, Hemis and Sindhu Ghat and then proceed to Pangong via Changla Pass (17,586 feet) and the third highest pass of the world. Pangong Lake is a salt water body of 120 km in length and 6 – 7 Km broad at the longest point. It is bisected by the international border between India & China (2/3 of the lake is in China’s possession). Visit the exact location of the famous movie “Three idiots” & enjoy outing along the banks of the lake. Overnight stay in Pangong.